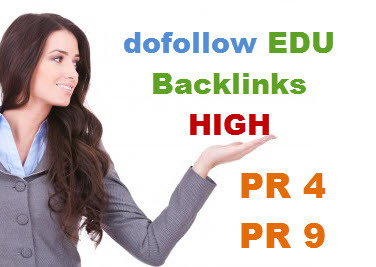 Just provide me 4 URLs and 1 Keyword for each, and I will create 20 profile backlinks from .EDU websites with high PR 4-9 in root domain. Full detailed report and pinging. 24-48 Hours Express Delivery, from Monday to Friday. Contact first if you have any questions. Order Now and get your EDU backlinks.